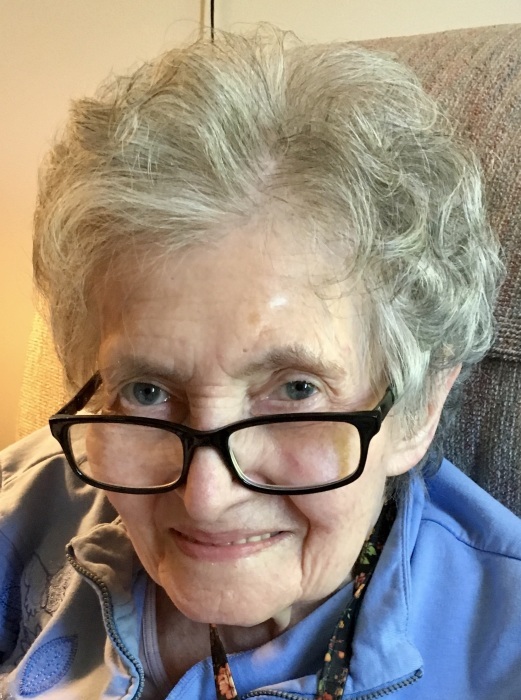 Mary A. Corron, 90, of Youngstown, formerly of Girard, passed away at Park Vista Retirement Center, on Saturday, January 12, 2019. Mary was born August 19, 1928, in McDonald, the daughter of Arthur and Gladys (Moody) Jones. Mary was a member of Woodland Park United Methodist Church, in McDonald. She was a devoted, wife and mother to her family and enjoyed knitting, playing Scrabble and reading . She leaves to cherish her memory, her children; Mary Louise Dyer, of Tennessee, Chester A. Corron, of Baltimore, Maryland, Patricia Corron, of Fredonia, NY, Susan M. (Patrick) Southam, of NC, and Timothy R. Corron, of Arkansas, 5 grandchildren, five great-grandchildren. Besides her parents, Mary is preceded in death by her husband, Joseph O. Corron and sister, Nancy Buser. Funeral services will be held on Friday, January 18th, 11:00 AM, at Woodland Park United Methodist Church in McDonald. The family will receive relatives and friends on Thursday, 5:00 PM to 7:00 PM, at Blackstone Funeral Home in Girard. Mary will be laid to rest at Green Haven Memorial Gardens next to her husband. Visit www.blackstonefuneralhome.com to view this obituary and to send any condolences to the family.